This high power mala provides wearer with abundance in wealth, good health, spirituality and fulfillment of desires. 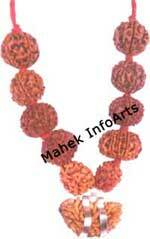 This mala is very effective for Dhyan and opens up all chakras. All the beads are highly energized and carefully selected, making powerful mala for a multi-disciplined approach. 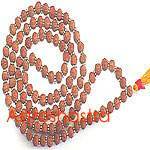 Wearer of this siddh mala is freed from diseases and sickness. He enjoys great wealth and happiness. He becomes free of all the sins. It helps realise dreams and achieve goals. Should be worn by people wanting to attain influential and powerful positions. It is an extremely blessed bead and provides protection against many evils and perils.